AHA-accredited, Board Certified doctors & hospital: Johnston Animal Hospital located in Johnston, RI with 1 Vets provide thefinest care for your pet. Johnston Animal Hospital is Atwood animal Hospital�s sister hospital. The Johnston hospital is located at 191 George Waterman Road, Johnston Rhode Island. It has been there for approximately 30 years. Most of the clients there have been going there since the hospital has been opened. There is one doctor on doing appointments. 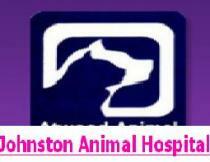 Johnston Animal Hospital also has the capability to run in house blood tests, such as CBC profiles, T-4 etc. Johnston also has a radiology machine, although it is not digital like Atwood�s. We see animals for vaccinations and animals that are sick.